Nestle needs to first address the concern of the regulator – The Food & Drugs Authority of India (FDI) whether its is actually safe for consumers or not? Once the company comes clean on this issue then the “damage control” work should begin. 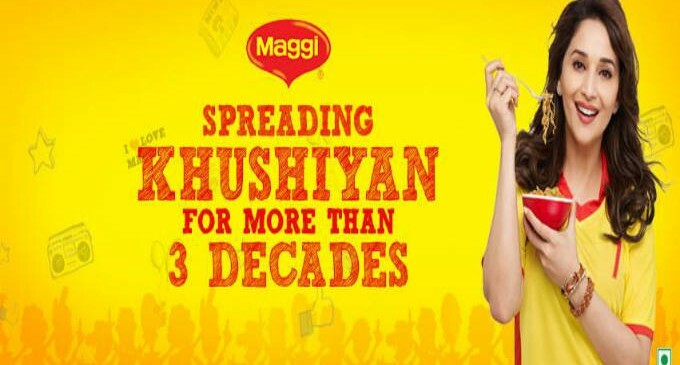 Maggi needs to have a new face as its brand ambassador who is a credible personality, somebody like Aamir Khan. Madhuri Dixit being an existing brand ambassador is under legal scanner for promoting the unhealthy noodles and misguiding consumers. Aamir Khan was earlier roped in by Coco Cola to come out of the pesticide controversy. 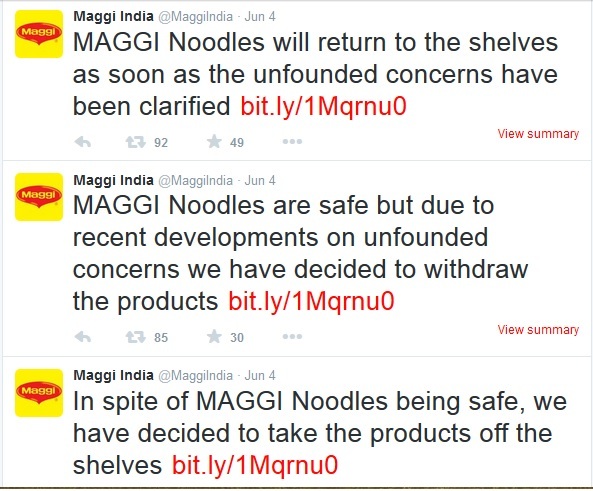 If Maggi noodles is really safe for its consumers it will bounce back like Pepsi, Coke and Cadbury but if it is not then it will be in troubled water for longer time unless it fixes the issue.